Not a pair of ducks; Paradox. The huge news being that on Thursday, Paradox Interactive bought White Wolf from CCP and started a new company called White Wolf Publishing. What does that mean? I’ll break it down and explain some of this. Let’s go back a few years to the point where the original White Wolf, the company I was with and helped create, merged with the Icelandic MMO company named CCP. We at WW had hoped to work with the gang at CCP to move our games into the electronic gaming industry, thereby broadening the reach and appeal and earnings of our settings, and over several years almost all of WW transitioned into working on the World of Darkness MMO as part of CCP. We still maintained an RPG publishing schedule, but it was what we could manage to do while working crazy hours on the MMO. Fast Eddy Webb was truly the hero of that time for bringing energy to the efforts to release any sort of tabletop RPG projects at all. Then, things started to get less rosy. Many former WW employees were let go by CCP in a series of layoffs, and I left to create Onyx Path Publishing (this here place). CCP licensed Onyx Path the rights to create tabletop roleplaying games for both the classic and new Worlds of Darkness, and Exalted. Onyx Path bought outright Scion and all the Trinity games, and Scarred Lands with a partner, Nocturnal Media, run by WW founder Stew Wieck. CCP retained approvals of all projects we would create for their IPs, and we’ve been rolling along OK for several years. Despite a valiant effort by all involved, the World of Darkness MMO ultimately was stopped before it got to a stage where it could be released. CCP renewed their focus on the EVE MMO and once the announcement over cancelling the WoD MMO was made they pretty quickly got offers from other companies for the WW IPs (Intellectual Properties, which would mean the games/settings as well as WW as a brand). I think there will always be a lot of love for WW at CCP, but they were trying to refocus on EVE. So holding onto WW when they could get it into the loving hands of a company that would actively develop projects for cWoD or nWoD or Exalted made more sense. Enter Paradox Interactive, a Swedish computer game company. For some time, they have been in negotiations with CCP to purchase WW and all of its remaining IPs and wrapped up the deal last week. They have announced some big plans and there are hints of WoD computer games already in the planning stages. For that alone, it looks like some great times for WW fans. Really thrilling news! So, I don’t really know Paradox or the new White Wolf Publishing’s head guy Tobias. I do know Martin, who will be their Lead Storyteller (Creative Director), and he was a great guy to get to know years ago. If you look at the collage on our website here, that’s Martin as the brooding Dracula. Tobias and I will be talking in detail later this week and I certainly expect to have a better idea of their plans after that. And as always, I’ll share what I can when I can. As I mentioned above, thanks again to all of you who have posted so many positive accolades for what Onyx Path has created for cWoD, nWoD, and Exalted! It is truly heartwarming and gratifying to see our community come together like that about our work. It has not been easy to essentially raise the WW game lines from torpor or stasis or what have you, and all of our far-flung pool of massively talented creators deeply appreciate your support. And please, if you are posting or tweeting at the guys at Paradox, let’s try and make their first exposure to our community be an awesome one so they really grasp both how passionate and how supportive we can be. It’s always “interesting times” along the Onyx Path! The Deluxe W20 Shattered Dreams Kickstarter funded last week! 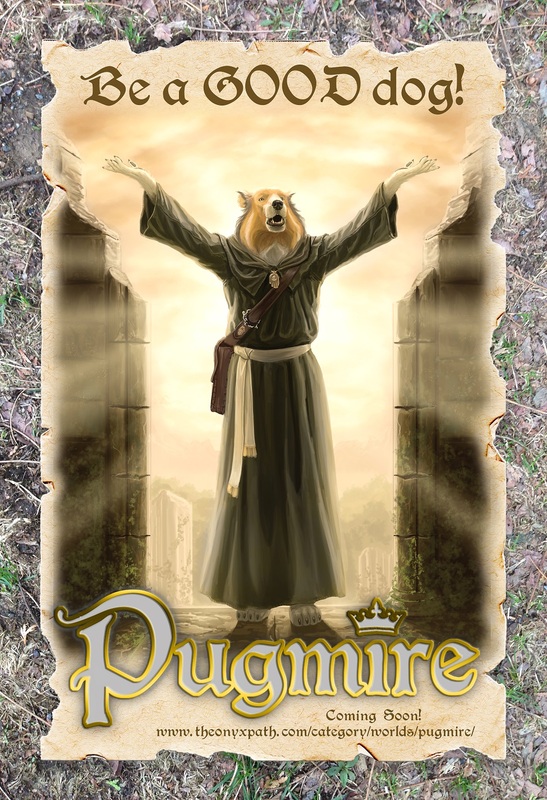 Now we’re looking at the first Stretch Goal which is for the creation of a W20 Auspice Gift Deck (we’re starting with Auspices, but hope to do others as well). We have more than two weeks left to go for this supplement detailing the multiple eras of the Wars of Rage as well as how to use the War in a modern Chronicle. For this W20 Kickstarter we’ve added Achievements to our usual mix of Rewards and Stretch Goals, with the idea that you can participate to unlock some rewards that aren’t part of the fund raising per se. We’ve already hit some of the Achievements! So, come pledge and send us pics of you howling at the moon or holding your pet rat(kin)! 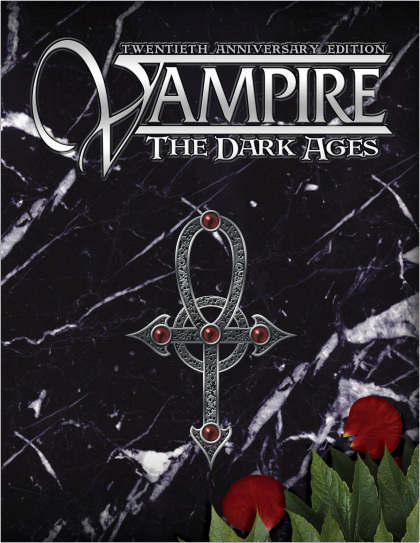 Vampire 20th Anniversary Edition: The Dark Ages is NOW available in PDF and PoD versions at DriveThruRPG.com! This massive full color tome is part of the V20 line but does not require V20 to play and enjoy. W20 Shattered Dreams – KS underway. Mage: the Awakening Second – Art in progress. Promethean: the Created Second – Finals starting to roll in. Scarred Lands PG – contracting. Dark Eras – Still sorting. Contacted artists for new sections and figuring out the additional stuff for the original sections. Pugmire Early Access – contracting. Dreams of Avarice – working. Demon STG – Working on it. NWoD 2 – Page XXs and cover layout tweaking. NWoD 2 Cards – Once NWoD 2 is done. M20 How Do You Do That ?!? – Errata wraps up on Wednesday and then it’s off to Phil. Ex 3 Anthology – Awaiting updated text file. V20 Lore of the Clans – Making all the errata changes. Beast: The Primordial – Backer errata phase. Ex 3 core book – From RichT: Still gathering backer PDF errata being compiled from the “Contact Me” link next to my picture on the KS page, and only from that link. This is the way we need to gather any fixes needed, it would be impossible for us to keep track of it throughout all the venues that folks are talking about it. Art corrections are in progress. V20DA – Deluxe shipping to backers! M20 – Awaiting cover proofs. Dark Eras – Expanded text from the KS has to get through the dev stages above. TODAY’S REASON TO DRINK: To a bright, but you know, still dark, future for WW fans everywhere! ◀ Day 31: Happy Halloween! I know this is a dangerous time for everyone, but I can’t help but notice the issue of “in development” projects for any of the World of Darkness games isn’t really touched on. Basically, there are too many “maybes” involved to answer the question until I talk with them. Meanwhile we continue to work on all of our projects in progress. I wish you the best of luck in whatever may come of it. Paradox being friendly and willing to engage seems like a good sign. Interesting. I’m excited at the possibility of White Wolf video games and a bit worried about what this means for Onyx Path. You guys have done a great job with the IP’s. W20 and Changing Breeds are really fantastic. I figure there’s an extremely likely chance that the answer is “we can’t say at this time,” but is there any word as to what’s going on with the Paradox folks talking about having “one World of Darkness” and what’s that likely to mean for OP? There are a lot of people worried about that. If Paradox does create a “one World of Darkness” I’m going to probably die laughing at the irony. I figured, but I had to ask. Thanks. Thanks for the update. It’s certainly an exciting but also worrying turn of events. Ideally I would like to see The Onyx Path retain the licenses to develop supplements for the New and Old Worlds of Darkness, as you have treated the licenses with incredible care thus far, and have continued to raise the bar for quality with each release. I find it hard to imagine any better custodians for the Worlds of Darkness and with any luck the folks at Paradox / White Wolf Publishing will recognize that. Like I said in the blog, one wonderful side effect of the announcement has been comments like these that really make us all feel great! Thanks! I live with that in mind always. Pretty much a Stark even before the books. Shame. You did some really great stuff on your new edition of the NWoD. I’m especially fond of Demon and Beast, which are really good takes on the usual tropes. I sure hope you’ll be able to continue with it. We certainly would like to continue to give nWoD a life of its own. Thanks! Just want to lend my support for everything that you have done for the past few years. 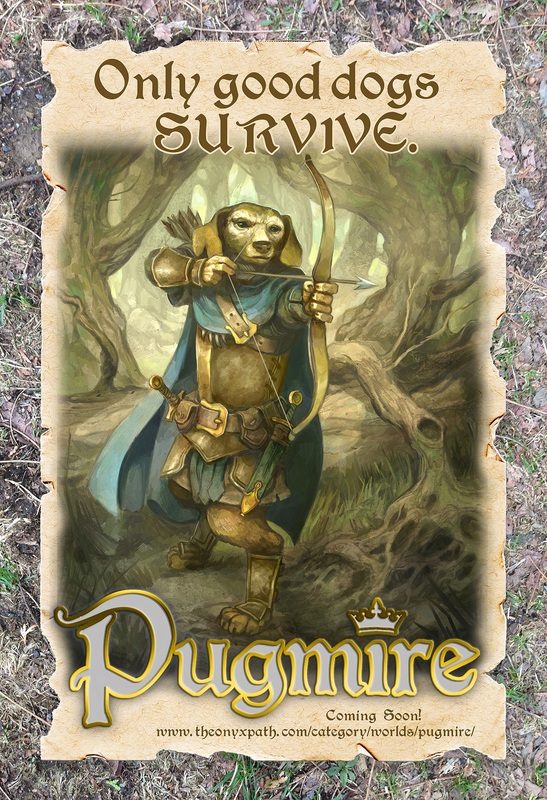 You’ve produced some really excellent books/games (V20, WW20, Mage 20). It’s amazing what you’ve accomplished given that only a few years ago there were no WoD books at all coming out, and that you are a much smaller company than the old White Wolf. It’s very inspiring. Thanks- not saying there weren’t challenges and mistakes along the way, but having been through the original WW ramp-up, I’m very happy with how we’ve maintained focus while adding projects. I wish you all the best. Onyx Path has done so much good for the World of Darkness. I can only hope Paradox treats you with well-deserved respect, and you keep making these wonderful games. The company I work for was purchased last Tuesday and we’ve been hit with a ton of questions so I have some idea what you’re going through right now. I’ve been in that scenario a couple of times, too. Hang in there! I’m provisionally excited about the Paradox deal until they make a concrete statement about what they want to do about the current licensing agreements. Beyond that, I hope they actually develop the IPs. Everyone wants Bloodlines 2 and more Masquerade, but the other lines have a lot of potential and it’d be good for Onyx Path if they could be introduced to a different audience. I agree, and they certainly seem like the guys to get some electronic games out there. Even beyond any positive effect that might have on book sales, it’d be great to see any of the WW settings being played that way. I guess we’ll see how it turns out one way or the other. Oh, and thanks for sorting out my Caste Book PDF add-on. I kept putting off contacting you so I could add more Ex3 typos to the list, but after a week, I figured I wouldn’t find many more. My Dad summed it up for me yesterday. This 72 year old man, not in the best of health said to me as I scrolled through emails and forums “you seem very anxious”. I explained as much as I could about Paradox’s buyout and why I was concerned. I don’t think I can speak any better for you guys than my dear old dad. Yeah I can’t figure out how to continue that one. Rest assured that I’ll be sticking with Onyx Path no matter how things turn out with this! I really want OP to maintain the licenses to the White Wolf IPs, but even if that doesn’t happen I’m interested in the products owned by the company outright. This is one customer you’re keeping. I really hope everything goes well. What you guys have done with Nwod 2e is just stellar. Still anxious for Mage 2e, in a positive way, and can’t wait for good news! Thanks! 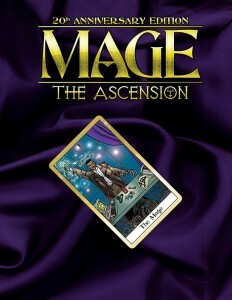 Looking forward to getting Mage2 out to you! The good news is, it does not look like Paradox has a Table Top Role-Playing Game creative staff, so it would seam that if they intend to continue the hobby game publishing of WW products (not unlikely) it is likely that the properties will stay licensed to Onyx Path and By Night Studios. Well, they did just announce it, so I’m not sure they actually could pull together a whole staff in a couple of days if that’s their intention. We’ll have to see. What’s kinda crazy to me, is that Onyx Path is the true White Wolf reincarnated, with the involvement of you, Eddy, Rose and so many others. Sure the IP’s have been purchased, but it is your talented team that makes it all go. To, they only bought only bought half of White Wolf. The talent is with Onyx Path. I hope this all turns out good. Thanks, Louis! Certainly I think we’ll have plenty of cool games to demo with you guys in the future no matter how things turn out with Paradox. Firstly, when assessing the state of the WoD properties, surely Paradox Interactive must take into account the quality of writing done by OPP over the last few years. While the brands have value, so does the talent that creates. Secondly, if the WoD brands are licenced to OPP, then the crunch question is how long do the current licenses have to run, legally, before they expire (and the new White Wolf starts to initiate whatever changes they desire)? Secondly, not something I can talk about. NDAs and all that. Every time I glance at the list of books on the way I’m in awe of the life that Onyx Path has managed to breathe into both worlds of darkness. It really is impressive how much quality material you’ve been able to keep flowing for so many lines – even before mentioning Exalted, Pugmire, Scion, Cavaliers of Mars, and Trinity all on their way too. May the path grow ever longer! The biggest challenge we willingly took on was to reinvigorate all three legs, if you will, of the WW IPs. My feeling was that everybody, the entire community, was important – and everybody loves different game lines. So we pushed as many as we could as fast as we could. So, yes…a challenge. Glad it sounds like how we have done it so far has worked for you! I love Exalted 3rd ed! The system is clean and well thought out, I love most of the art except the signature character portraits, but that’s just personal taste. I’ve been posting the minor typos and grammatical issues I’ve found in the KS comments. Is that a good place to send such feedback with all the other noise going on there? Personally, art doesn’t make a game. I’ve played a lot of Palladium/Rifts/Etc games and it’s sometimes something to laugh about, but nothing I would ever be upset about. Frankly I love almost all the art in all three editions of Exalted. Thanks for all the great work! It is truly appreciated. We already have two different Ex3 campaigns going. I’ve been posting the minor typos and grammatical issues I’ve found in the KS comments. The Ex3 download link email and the associated backer update requested backers use Kickstarter’s “Contact Me” link to submit errata. Two EX3 games going? Wow- fantastic! Thanks! I just wanna say, i really appreciate the straight talk. I’ve seen a lot of companies who try to keep everything shut up until they can’t anymore, so I really like how open you guys are. I really prefer to get word out to folks and let them make up their minds on things based on info rather than guesses and rumors. It sometimes works and sometimes doesn’t, and sometimes I would rather just keep some facts under wraps because they are, frankly, embarrassing as we do make mistakes like everyone, but I think it is the right thing to do. Thanks for the info and all the great work. Here’s hoping the sun never rises on OPP. Well, I don’t really know what to say that hasn’t been repeated somewhere already but – I really wish for the best to come out of this. The White Wolf brand and its products deserved more than what they got out of CCP, and Paradox may be the people to do it. We don’t know yet how that will go over, both in terms of video games and the TRPGs, but I very strongly hope that Onyx Path will be able to keep up the fantastic job they’ve been doing, or accomplish /even better/ with the support of the new White Wolf. Speaking as a fan and a customer, I think you’ve been doing really well with your current model of business and game development in these times, with the competition on the market. You’ve done me right and provided endless hours of entertainment and imagining. It would be a foolish loss to stomp down on your initiative and methods, and I don’t believe anyone who took an attentive look at things and cared for the community would do that. I’m sticking with Onyx Path, and I’ll be looking forward to seeing where you can go! Thanks for taking the time to update us. Thank you, your support means the world to me and the gang here. I have my fingers crossed that Paradox doesn’t rock the boat and leaves the licenses in the very capable hands of OPP. You guys have done an amazing job and I cannot imagine anyone better suited to continue bringing the Worlds of Darkness to us (along with the other licences). Thank you for all the work you guys have put in, and here is hoping that you guys get to keep making such amazing games. 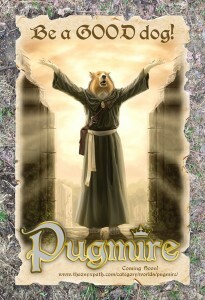 Also, as an aside: Paradox Interactive better make a Mage (either cWoD or nWoD) video game. It just seems… right. Hear, hear! Would you say the name is too much of a…(whips glasses off)…COINCIDENCE? Wow – I really don’t know how I feel about it either. So on the positive side, my favorites White Wolf RPGs were Aberrant and Scion so I’ll be here with Onyx Path no matter what. 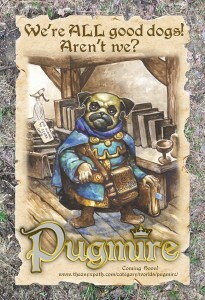 And I’ve been completely on board with Pugmire since Eddy started sharing details about it at GenCon last year. On the other hand, I’ve been wanting Changeling 20 for so long that I would be temporarily heartbroken without it. On the other, other hand – I just hope if Onyx Path loses the rights that Paradox sees a way to get books in stores as I know how many retailers want them (I know OP has been working on options for them but not quite the same). Thanks, and I guess we’ll see. Wouldn’t the license agreements between WW and OPP transfer even if WW is now owned by another company? no, that’s not how business sales work in many cases, unless it’s explicitly part of the deal. Is there any need to worry about the fate of Onyx Path in a possible future where, for some bizarre reason, the WW licensing was taken away? Or in other words, is Onyx Path able to survive on what it owns outright, or does it still need the WW licensing to some extent? That’s probably going to depend on how well Scion and Trinity do since those are the two IPs they own outright. 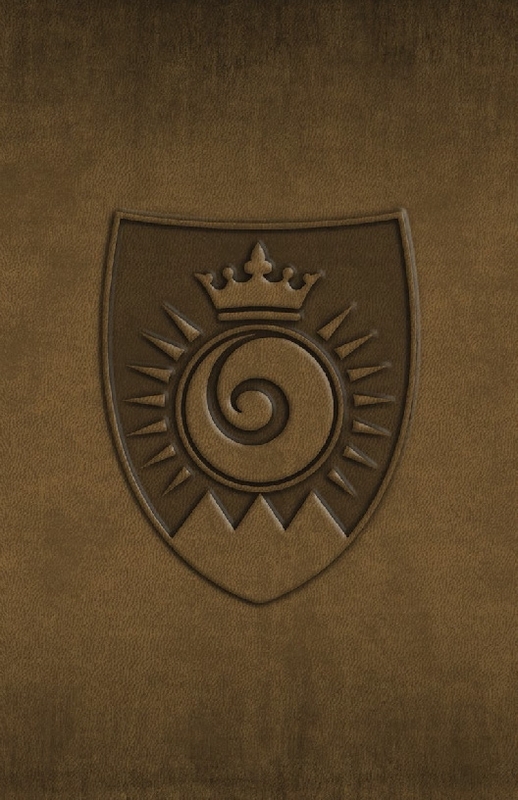 If the WoD licensing is either taken away or not renewed once it runs its course, I imagine those will be OPP’s primary income until they create something new. Not being able to create games for the WW game-lines would hurt us in a lot of ways, but it wouldn’t kill us. Scion, the Trinity Continuum, and Scarred Lands were always Phase2 of Onyx’s business plan, and developing settings with creators has always been our Phase3, hence Cavaliers of Mars and Pugmire. So, we do have some great game lines already being worked on that we have a lot of faith in. The one thing I noticed about the reports I read on Friday regarding Paradox buying White Wolf was that the ‘comment threads’ on those posts didn’t mention Onyx Path at all. Oh yeah, plenty of commenters posted words to the effect of ‘White Wolf was great, but it seems to have just vanished.’ That’s a heartbreaker right there, but it’s worth stating that those announcements were all on video game sites. Needless to say, *I* posted links back to Onyx Path’s page and extolled the many great works of RichT and co! Getting the word out to as many fans as possible is vital for success of these lines, but it really helps when the work that Onyx Path puts out is just top-notch. I concur, almost everyone I’ve ever talked to has no Idea that anyone is publishing this stuff again, and now we’ll see what happens. …And lest anyone think otherwise, my comment above wasn’t meant to sound blame-y or finger-point-y. It’s just meant to point out how easy it is for an announcement to sow confusion. I want to do what I can to ameliorate such confusion. Thanks for both your accolades and your actions in posting about us. It really does help. Its good to know that things are cordial between OPP and Paradox for now at least. When I first heard the news I was estatic. 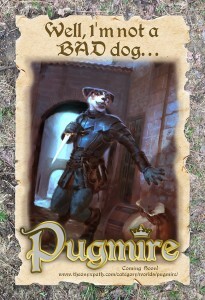 I, like a lot of people got into WoD due to Bloodlines and was fan of the cWoD setting. However, when it comes to playing the tabletop I much prefer nWoD’s cleaner mechanics and lack of a metaplot. Their talk about uniting the World of Darkness under one metaplot is both vague and worrying as it seems to either ignore nWoD or imply something way worse: a merging with cWoD. All I have to say is that I like nWoD a lot and my biggest fear from Paradox’s vague corporate-speak is that it will get axed. If that happens I probably won’t be able to touch anything that the new WW does, good or bad. For nWoD to get cut in the middle of it’s renaissance with 2nd edition would be to much. I know that’s really negative and might not happen, but how else are you supposed to interpret the White Wolf website and the comments from Paradox themselves? Until they say something concrete, all signs point to cWoD pushing nWoD off the stage rather than them sharing it together. Yes, or it implies a unified cWoD with VtM and WtA etc all as a tightly connected setting you can license to computer game companies and Hollywood. 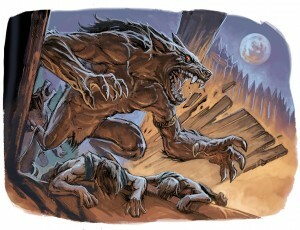 Seems like the scattered cWoD – “Why is the werewolf called a Lupine in this book but a Garou here! ?” – wouldn’t mesh with executives used to the Marvel and DC universes. All of which I just made up as I wrote this, but it does illustrate that we don’t really know anything yet and theories can be as likely, or as out there, as our mood and imagination. At the risk of being overly optimistic (Onyx Path’s work on the NWOD being some of the best Tabletop work I have ever seen), it could mean that they want to have each gameline’s metaplot and crunch line up across media (LARP, computer, tabletop) so that they are all telling the same basic story and characters and metaplot can be cross-branded across each venue. Think of it like the Marvel vs DC approaches to their TV and movie properties. Nobody is going to tell Greg Berlanti that he has to change Arrow, the Flash, or Supergirl to mesh with the events of Batman vs Superman. Marvel by contrast has a centralized office that enforces compatibility across their media empire (e.g. When Winter Soldier destroyed SHIELD, the Agents of Shield TV series reacted to it). Paradox appears to be saying they want to go to a more Marvel like approach than CCP had by having their Lead Storyteller decide metaplot across all their disparate interests. This should hopefully mean that Onyx Path’s lower profile projects should be unaffected as I doubt they have much planned beyond their CWOD ventures. Good Luck, I am sure that whatever they do you will be able to make something good come of it. A couple years back, when he just were about to move to Atlanta and join the WOD MMO team, I had a small talk with Martin Ericsson about his views on the different game lines. He told me he preferred the cWoD metaplots and depths, but definitely found the nWoD game mechanics more interesting. This in itself does not imply anything. But it shows what the lead creative mind behind the new White Wolf at least think is the strengths of each game line. With them putting ‘Publishing’ on the name, it sounds kinda like they’re planning to get WW’s old presses fired back up (figuratively). Perhaps the licensing will become a strange thing where you license the IP, develop the product, and then send it back to the license-owners to be brought forth into the world. The big thing I see though, is this. D&D’s video games do well. Maybe not always blockbuster, but well. They do so because of the backbone of the tabletop fans love. And sometimes, when they spread to non-tabletop players, they bring them to the tabletop, and create a kind of cycle. Requiem and Bloodlines didn’t get their fanbase at random. They drew the fans of the World of Darkness. It would be a poor move on Paradox’s part to sever production of the tabletop aspect if they want the IP to produce games. Based on history, they’d be best served by doing both, so that the two headed vampire drains the money of the same herd, so to speak. One thing I’m especially curious about though…they’re primarily a video game publisher. Did they buy the work (with engine) that was done for the WoD MMO, perhaps thinking of firing that production back up? Yes, they did, they bought all graphical assets developed for the WoD MMO. Now, no one really knows if they intend to continue development of the MMO, but these assets can be used for a RPG as well. I Love World of Darkness in all it’s forms. I’m looking forward to a new video game in a couple of years. I think you guys have been doing great work and I’m a bit terrified of direction changes in nWoD on the tabletop. I’d be happy with some sort of multiverse where each medium could have it’s own plotline (or in nWoDs case lack therof). I sincerely hope they renew the deal, keep us apprised. Heck I’d love to see other media, a movie, or TV Show, that’d be great. Is there any possibility of putting more effort into the mostly dones, and less/none into the just getting starteds in WoD? (note: not really understanding the publishing world, I’m not sure if this is even possible). In case they decide to revoke your license? Generally, book production doesn’t really work like that. Long story short, most of the different stages of the book (writing first and second drafts; redlines, development, and art notes; editing; layout and art direction; etc.) are handled by different people/teams with different skillsets. Most of the folks writing the initial drafts wouldn’t be able to help with layout or get the artists to crank out their art pieces faster, for instance. This is especially true in the modern state of the industry where most RPG professionals (outside of WotC, Paizo, and a couple of others) have to do this alongside day jobs and other commitments and literally can’t afford to make these books full-time and keep a roof over their heads. I guess my thought kind of was that some of these people might be working on multiple projects concurrently. E.g. same writer on Vampire and Promethean, etc, so they’re splitting their time between 2 (or more) different projects. I’m not sure if that’s true, but maybe. Just a thought. I feel optimistic about this. For one, there are some game recognition for Vampire the Masquerade and Hunter: The Reckoning, who had lines during the late 90s. I’m hoping that they’ll continue on games that focus on the other Creeds for Hunter, as I’m sure that many are wondering what happened to the Hunters of Ashcroft after the Judge bought it at the end of Redeemer. 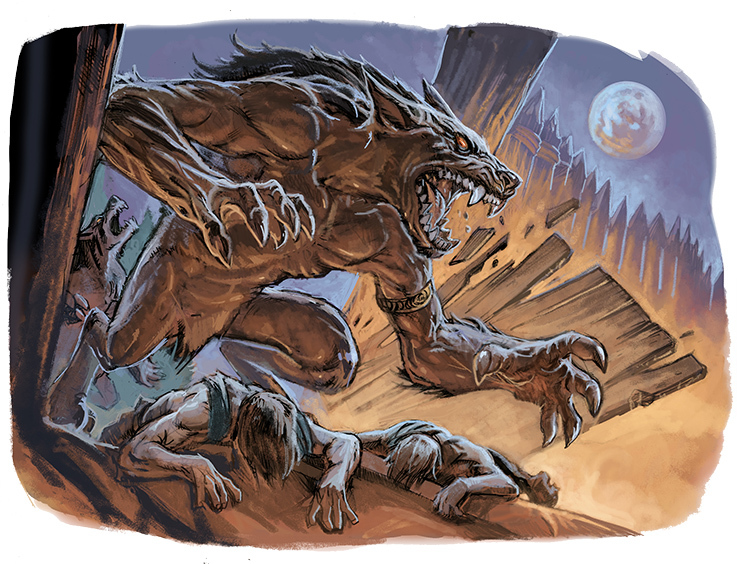 Also, since it seems that they also show interest in making games for the other lines (either personally or through a third-partier), I’m hoping that Werewolf fans will finally get a Werewolf game ever since the Heart of Gaia letdown. 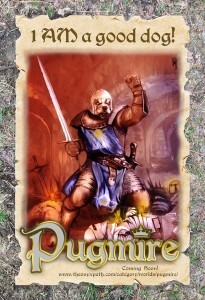 Here’s hoping that White Wolf regains it’s footing through the video game market alongside Paradox. For what it’s worth, I’ve really enjoyed what you’ve been doing with the Worlds of Darkness, both New and Classic. I really like what’s happened nWoD’s 2nd editions, and the 20th Anniversary Editions for cWoD. I am concerned that the first words on the White Wolf website are “One World of Darkness” — it sounds like something may have to go. I hope Paradox allows you to continue your creative endeavors; I trust that (if so), you will continue to produce quality settings and characters, and rules systems that I can twist for my own purposes. Oh man, I am excited and cautious at the same time! Excited, because I own quite a few copies of the games Paradox has produced, and they’re a lot of fun, cautious because I’m (probably unreasonably) worried that they might leave you guys out of the loop if they want to create something using the White Wolf properties. Y’all breathed life, desperately at times, into what a lot of people considered a dead series of games, and I would hate for that to end. On another note, I just moved a few weeks ago Rich, and in the process (I have a weird though process at times, don’t judge me!) realized that I didn’t specify that one of the books I got through the Exalted 3 Kickstarter was actually going overseas when I got the last little questionnaire thing. It’s been paid for as an overseas one, but should I contact you here, Rich, or on Kickstarter, to fix both addresses? I’m just one guy, of course, but IMO, Onyx Path is the best thing to ever happen to WW/WoD. You guys made my wildest dreams come true by bringing back my favorite RPG ever, Mage: The Ascension. You got me interested in the nWoD, something I thought would never happen. Every single book that I have purchased from OPP, Ascension and otherwise, has been a five-star masterpiece. I really hope you are able to stay involved in cWoD, nWoD, and Exalted – and FWIW no matter what happens, you’ll have me as a loyal Aeon/Trinity customer as well! I do have one Paradox Game Europa Universalis. Based on the effort they put into that game I can tell you they do good work so hopefully will do the same thing here. I really love the work Onyx Path does, and I do hope that Paradox will allow you guys to continue doing what you do. 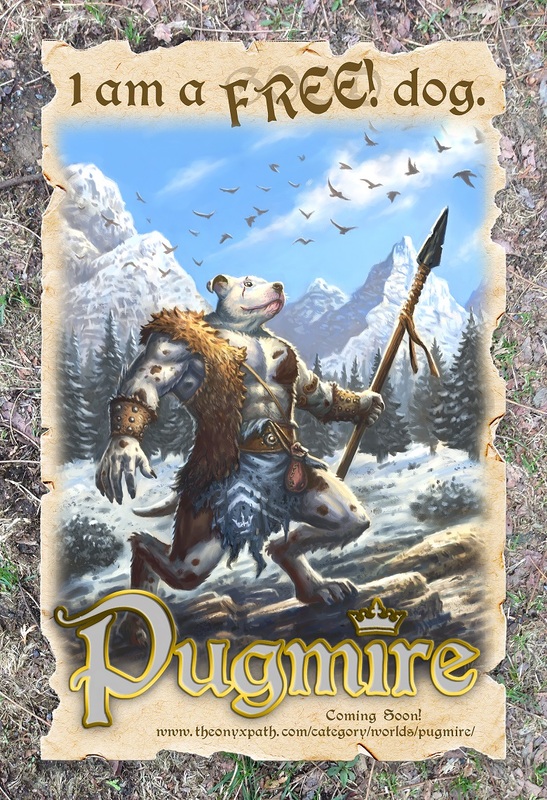 I just got the Exalted 3rd and Beast backer PDFs and I’m liking what I see. Good luck, and I wish you all the best! I was so skeptical when onyx path started producing world of darkness books. And now. I’d be distraught if you guys weren’t responsible for my gaming books. Onyx path reinvigerated my love of role playing. I need you onyx path to keep up what you’ve been doing and making my world a lovely shade darker. Plus I’m already planning on like 5 deviant Kickstarter books. So there’s that. Seems we now have another acronym in play (nWoD, cWoD, oWoD). Honestly I thought it was “old World of Darkness” oWoD for some time now; having a “one World of Darkness” I will need to remember that C is for Classic. Working in IT I’m used to an alphabet soup… so I just hope it doesn’t confuse marketing efforts. Anyway, I’m enjoying taking my time through EX3 and OPP has a killer track record going. Keep rocking it, and here’s to a positive relationship with Paradox! I suppose we shouldn’t be worried. it’d be silly to buy up a license that’s got a successful development team and a business model that seems to work then cause massive ill will by kicking them to the curb. It would be to me, yes. Sorry to hear your license doesn’t give you more certainty, at least in the short term. On the plus side Paradox has a pretty good reputation, as opposed to, say, EA. Best of luck; I’m sure it’s going to be a crazy week. So far, not too bad. Getting some work done at art notes to Mirthful Mike for Pugmire’s Early Access, and notes on fixing some EX3 art to the team. Thanks! 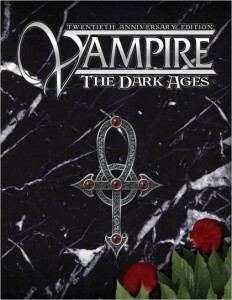 I got my Vampire the Dark Ages book today, it’s gorgeous. Wow, that was yesterday you got that? That is fast! So very glad you like it, I think it is one of, if not the, most gorgeous books we’ve ever made. Thanks! I think I live near the shipping thing, in NC. I’ve gotten most of the Kickstarters very quick except for once when they rerouted things through Georgia. Really gorgeous book, though, everyone’s gonna love it. I got my DA20 this afternoon, and I love it so far. I hate that I have had to adult today; I REALLY want to finish it! The shipping seems to be very speedy on this one. We’ll be at MidWinter and GenCon for sure this year, so hope to see you at one or both of them! I think I’m in the same boat as everyone else in that I’m really looking forward to the possibility of video games based on White Wolf IPs, but at the same time I’m nervous about what it might mean for Onyx Path and NWoD in particular, given some of their comments. Still, best thing to do is wait calmly and see!! I’m with you in that boat! Thanks! Just wanted to join the chorus of praise – Onyx Path have done incomparably good work with all the WW properties, and I think Forsaken 2nd Ed is damned near perfect. While I like Paradox as a publisher, I can’t silence the concern over this ‘one World of Darkness’ thing. I hope they understand there is a rabid community for both sides of the WoD. One thing that has really bugged me about Paradox’s posts has been they have commented about the “ignored” community, and basicly seeming like they are ignoring everything Onyx Path has done. c)Has done an amazing job keeping the games not only alive, but thriving. I really hope that they keep your licenses like CCP did, and let you have the freedom to keep being awesome. Thank you very much for your kind words. The thing is, I’m pretty sure they weren’t talking about us or ByNight. I think that was aimed at a silent “parent company” kind of thing, and they, as the new parent company, are assuring folks, including computer gamers, that they won’t be like that. Yeah I’ve been bothered by that, but my thinking is it’s not any kind of intentional dig at OPP. It seems more likely that Paradox was commenting on the lack of video game support. That being said it’d be great to see some acknowledgment from them of the excellent work that OPP has done to keep our favorite games alive. Also ….. Yeah I want changeling 20 too! You guys have done some fantastic work down the years in keeping the flame of WoD alive- in both new and classic forms. I’ve said this in many other places, but I truly hope that Paradox go out of the way to work with you and to keep the existing game lines going. No matter what anyone else might say, you’ve always done superlative work. I can’t think of a product that has disappointed me. You’re a warm and open company who listen to their fans and strive to do right by the fandom. That and I really want to see more products come out for Demon and Beast, and to see Deviant spawn. I hope the very best for Onyx Path, you did a great job reviving the cWoD. I read that they also want to go back to classic RPG supplements with WW. It could still mean they would licence it to you. The video game market isnt easy. 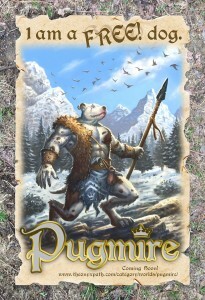 Paradox is known for strategy games, so i wouldn’t bet on a pure RPG from them as the first game we hopefully get to see. Anyway it will take at least a year or two until it will be ready for players. They also talked about giving the licence to other publishers however WoD games sadly dont have the biggest finacial sucess in video games history so i wouldn’t bet on big deals and announcements yet. The previous video games did pretty well in the final analysis, and the Vampire ones had bigger impact than the financials suggest, even. I think they are the right guys to make something great happen in that market. Going by the Twitter, it looked like Obsidian games was already on move showing interest in making a Vampire game. Hopefully they get licensed to make a good RPG. And hopefully their QA improved. 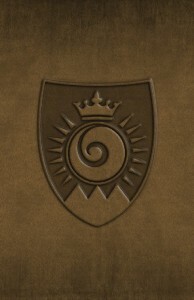 Obsidian consists of ex-Black Isle employees. Troika games made Vampire: The Masquerade – Bloodlines in 2004. Troika was made of some ex-Black Isle employees (Baldur’s Gate/Fallout series going back to ~1998). Congrats for your buisness with Paradox, it’s a great news, and let me say here Rich, the O.P is great and very serious about everything, from interactions with players to relations with free lancers and supporters. It’s a pleasure and an honor to work with you guys. Right back at you! Thanks! We’ll be making cool games no matter what, and it’ll be awesome to have you still checking us out! Thanks! I pledged for nearly every KS you did. And you can be proud of one achievement – the quality of the releases is better that during the WW times. You as OPP have created a lot of great books and not one that I found bad. And if we’re honest that was not the case with WW. So I can only hope that Paradox will allow you to continue on your road to glory. High praise indeed! Thank you, it means a lot to read it. OP/RT – Thanks for everything you’ve done thus far and I’ve got my fingers crossed they leave the TTRPG stuff in your more than capable hands. I’m hoping the WW purchase was purely so they could get hold of the CRPG rights. But a unified/one WoD? Sounds like a mashing of the two with the bits liked from both by some nebulous “other” person. I’m hoping it’s just that someone who knew what the MMO was shaping up to be thought “It’d be great to include these bits from their nWoD lines!”. We shall see – thanks! Just another voice echoing the general consensus here. I wish only the best of outcomes for RichT and everyone else who has put so much love and energy into these products. I’ve had the privalege to be involved in the creation process as an editor for several books, but I am first and foremost a fan. In my own World of Darkness, Onyx Path Publishing has always been a constant shining light. First, thank you for all the good work you have done with the NWoD in the past couple of years. I really, really keep my fingers crossed that you will be able to keep the license and that all the NWoD books which appear to be finally close to release will not be delayed or, god forbid, even cancelled due to this. I’ve got to say I’ve been sick since I heard the news. The first thing that crossed my mind was “what happens to the Path”. I remember how excited I was when I heard about what Rich was doing, about the Onyx Path. Not only was he breathing new life into my games but this is Rich Thomas; I didn’t know him personally, I never spent time in the old White Wolf chats with the name but I knew his name. Rich was part of the family, this was in good hands. But now, Paradox…These people are strangers. I get it, I think about the WoD games that slipped out and the ones that never made it (I’m looking at you Heart of Gaia and PS1 game that I saw one screencap of and had two lines written about in a game magazine one time). It is exciting to maybe be able to buy a new Klaive to go with the one I already own or who knows what else will come of this. I want to be excited, but honestly I am very worried. Worried about Onyx Path, and worried about the future of our games. Let’s just see how things work out. And thank you for the trust and support you so clearly are feeling. That really means a lot to me and the whole crew here. Just another voice of support here. The quality of WW products has been at an all-time high under the Onyx Path. While I’m quite excited for the possibility of more video games, I am much more concerned about the future of the Path. Thank you *so much* for making products of great quality for both players and Storytellers that I can share with friends regardless of background, gender, or race. The Onyx Path has a very revered place on my shelf, and moreso, on my table. Thank *you* for both your kind words and for buying all those books! Just wanted to add my voice to the chorus of those praising Onyx Path for their work on the oWoD / nWoD to date – I hope you get to continue creating products for those lines, and I look forward to seeing the end result of the Aeon reboot. Just took delivery of my Dark Ages Vampire 20th Edition today, and its a thing of beauty – you guys are incredibly talented. Here’s to remaining a customer no matter how this all shakes out. Thank you! Glad you like the Deluxe V20 DA! Here’s hoping we get to see a complete 2nd Edition conversion of all the game lines. I’ve loved every 2nd edition release so far and it would be crushing to hear production was changing. We need Geist! Well, this is interesting. I’m thrilled at the possibility of WW video games, but I also hope it doesn’t hurt Onyx Path’s stuff because I love it. I think what I’d ideally like to see is a completion of the 20th anniversary lines, a rebranding of nWoD (Ultimate World of Darkness ala what Marvel did maybe? ), but for it to be otherwise left to it’s own devices, and then a reboot of the cWoD lines that includes video games and other licensing for other media. They get their One World of Darkness with the reboot and cross media production, so that there’s a nice unified world that doesn’t need to go to great lengths trying to reconcile over 20 years of wildly contradictory content, has good cross over support and can more easily attract new players. Everyone gets something nice, and if they can differentiate the WoD brands it may even lead to some nWoD properties seeing some cross media love down the line. That being said, the two WoDs is a pretty serious branding problem, and trying to reconcile the fanbases with each other via a single line is going to be impossible. I hope they figure out how to thread that needle. The simplest solution is unpleasant. nWoD getting axed to solve that branding issue is really my only concern; I’m pretty sure you guys are going to have a pretty good shot at keeping the licenses, as long as the direction they want to take things is something you’re comfortable with. You’ve got the talent and the established community. They’re probably not going to be as hands off as CCP was, at least for properties that they’re actively building other content for, so things are going to be different, no matter what, but that’s not the worst kind of change, especially if it’s coupled with more attention, marketing, and other fun things. I’ll be mildly nervous until the fate of the nWoD lines is clear, but on net this is going to be very positive, I think. Some good thoughts there, but of course, it’s still a wait and see thing. Thanks! I really hope they don’t make a setting reboot on the tabletop cWoD games. I would not want to see that — to me it would be no different from replacing the cWoD with the nWoD was. It would no longer be the worlds I love. Regardless of whatever happens I can always be grateful to you all at OPP for reviving the classic World of Darkness which I never thought I’d see again and bringing us new books for it, and for shepherding Exalted through a long dark tunnel out of 2E and into a brighter day. Well one thing that I relaized from this discussion is that I really don’t know much about OPPs non WOD lines. I’m so obsessed with WOD that I spend all my money on that. Peoples comments about supporting onyx path no matter what has gotten me interested in picking up a non WOD title. I hope this all works out well. I’m optimistic, personally. In large part because I would love to see White Wolf video games getting made again. Well I didn’t see this coming but now I really wish I studied accounting and became a hedgefund manager. Not sure if you can answer this due to the nda but the products that are near release who do they goto for final approval now that ccp is out of the picture? Will things get backed up while it gets sorted out or? Just wanted to ask a question and also let you know how much I am backing you all the way through this transition. You have all done *amazing* things and I sincerely hope you are only empowered by this change to do more of what you are already doing and from a wealthier and better stocked sanctum. So the q) Does this affect the timing of the planned C20 Kickstarter? I am assuming yes, but we do not know how long any delay will be or if it will even go ahead now yet? On another note: Are there any news about the Book of Secrets (the DAV20 one)? Maybe some writer is already locked in the cellar? I might be slightly hyped that the corebook is being shipped now. It seems likely to me that Paradox’s plan is to purchase OPP. That makes the most sense in terms of “One World of Darkness.” It would also explain Rich’s NDA as that could hinder negotiations. Its potentially a good thing in that perhaps many of the freelance writers who having been working on all of our favorite projects might find full time jobs working for WWP, which will put those projects in our hands faster. But its potentially a bad thing in that they might move away from a kickstarter/PoD model, which the products have benefited from, IMO. God, I hope not. Onyx Path has been doing so much quality work with the IPs, I would prefer to see Paradox interfere with it as little as possible. I’m especially anxious over the “one world of darkness” thing. I pretty much only like the new world of darkness, and seeing someone trying to mash the two together, including elements from classic that I really don’t like….ugh :(. I’m happy to hear that they’re being friendly though, I just hope that they don’t complicate Onyx Path’s creative process. For what it may be worth: my understanding of the “one World of Darkness” quip wasn’t (1) single ownership or (2) killing off either OWoD or NWoD, but rather (3) emphasizing within each continuity that *all* the products within (e.g., Requiem, Forsaken, Lost, etc) are very much part of the same world, not “isolated Genres of Darkness”. I think that is why Paradox has hired a Lead Storyteller: to ensure that new products, whether developed in-house or under license, hew to that concept. As Onyx Path has done a truly grand job of such (witness how tightly Primordial is tied in with the other NWoD genres), I can’t imagine that they’ve much to fear in this particular regard. Thanks for the heads up on the merger. I look forward to getting more information when it becomes available. I don’t say much on this website, but I do like to read the Monday Meetings and the occasional open development. A third of my rpg collection and the about 50% of my wishlist are World of Darkness books. I hope that Onyx Path can continue making books in this setting. I would love to have a second edition Geist and who knows what you guys come with. I wish you all the best in this new age of the White Wolf. 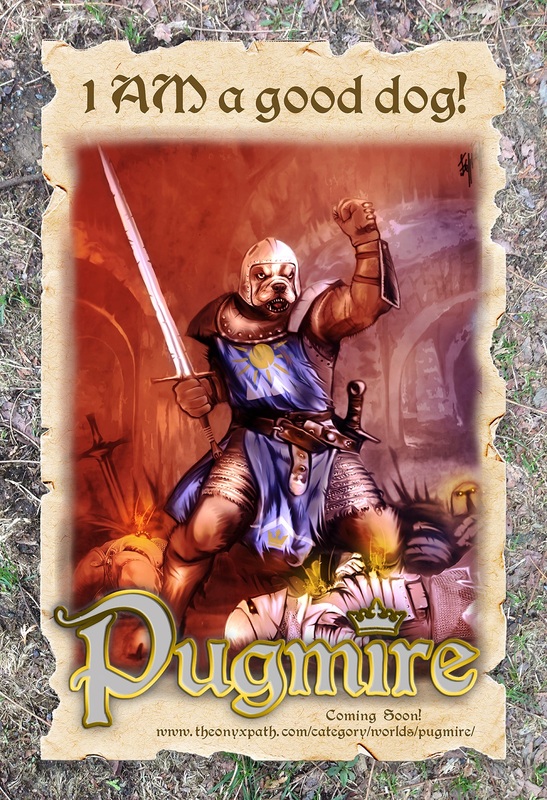 Mage 20th gets released and a few weeks later Paradox Interactive buy’s the rights to White Wolf… I think someone botched an Arete roll. Where did this term one world of darkness come from? I’ve read it in a few places and am not quite sure what it means. I hope it does not mean any alteration to plans for a 4th edition, I am so excited for it. I’m cautiously optimistic. I think Onyx Path has done a great job with the nWOD 2nd editions, and a good job of carrying on the cWOD. I would be very disappointed if Onyx Path lost the rights to publish WOD material. That said, the thought of some sort of grand strategy game set in the WOD is very exciting: how awesome would it be to play as a vampire in a city, trying to work your way up the political ladder without getting reduced to ash? Or play as the Prince, and desperately try to hold on to your position? I do have to say that the splash page on the White Wolf page does not have the same art direction that White Wolf and then Onyx Path have shared. It’s lacking something. My greatest fear is that OP loses the licenses. The work you have done in crafting nWoD games into 2nd edition, and revitalizing cWoD, has been amazing. I think getting away from the high-grind publishing treadmill has allowed OP to produce the highest quality books of the entire White Wolf lifetime. I’ll stick around for Scion and Aeon, and check out Cavaliers and Pugmire. But I think Paradox would be idiots to take away what OP has built up for the Worlds of Darkness and Exalted. Seeing as we are now “later this week” I cannot help but wonder if the talk as taken place. Thanks a lot. Here to hoping. Worst case scenario we will still have Scion. Which of the NWoD lines does that include? Only Primordial? Hopefully Promethean, Changeling, and Mage are secured for release atleast. My above was intended for Dwight. Excellent, this means that there is a chance for me getting a Mage the Awakening computer game with a Magicka-like Spell system.